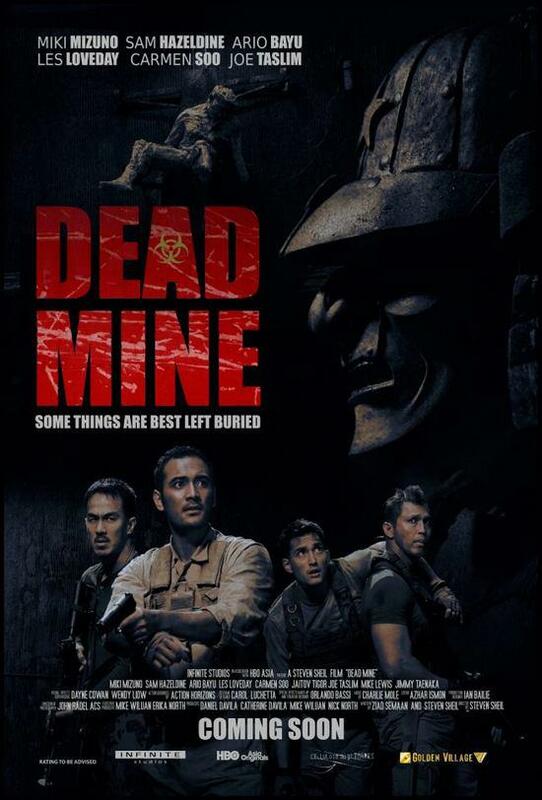 Synopsis: (from IMDb) The legend of Yamashita’s Gold lures a treasure hunter and his group deep into the Indonesian jungle. Once they are trapped in an abandoned World War II Japanese bunker, they face the terrifying reality that the only way out is to go further in. My Short Review: What a borefest!! I did not expect much coming into Dead Mine but the first 15mns of the movie gave me some hope. I liked the fact that the movie had a mixed cast (japanese, british, indonesian..) and thought that the director took advantage of the beautiful island location. Alas, as soon as our group of “heroes” enter the mine, nothing really happens for the next 40mn or so. During the last third of the movie, the action ramps up a bit but not enough to awake an already comatose audience (it did not help that I usually watch movies late at night). I could have forgiven a poor plot or uneven performances by the main cast but what I can not stand is an horror movie that does not generate any scares whatsoever and almost no gore.